Ceramic tile is popular for kitchen and bathroom walls, as it is water resistant. The location of these tiles means, however, that grease, food splashes, soap scum and mildew can make the tiles dirty quickly. Cleaning ceramic tile walls is easier if you do it frequently and don't allow this grime to build up. 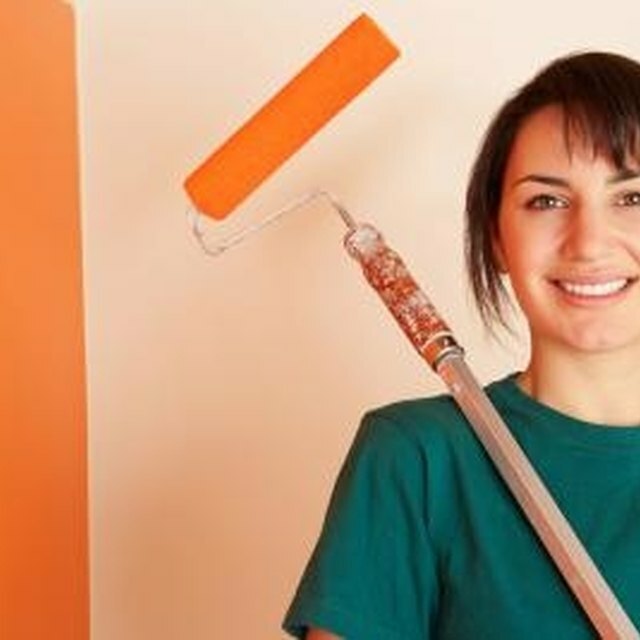 Nevertheless, even if a while has passed between cleanings you can make the walls look nearly new again with the right combination of cleaning products and effort. Put on rubber gloves to protect your hands from the water and cleaning products. Fill a 5-gallon bucket (or sink) with warm water and add a half cup of liquid dish detergent or laundry detergent. Soak a sponge in the water and scrub the tiles, starting at the top of the tiled wall and working your way down. Use a toothbrush, dampened in the soapy water, to scrub corners and grout lines. Rinse out the sponge in hot water and wipe down the wall. You should rinse the soapy water off so it does not leave a film. Dry the wall immediately with a soft towel to prevent water spots. For extra polishing, buff it with a microfiber cloth. If wall tiles in the kitchen and are greasy, use dish detergent rather than laundry detergent--dish detergents are specifically formulated to cut through grease. For mildew, use one part household liquid bleach to ten parts water, mixed in a bucket and scrubbed on the walls--or use a bathroom tile spray formulated for mildew. Do not use abrasive sponges (other than mildly abrasive synthetic/nylon sponges) on glazed wall tile--use of abrasives may scuff the finish, making tiles appear dull. Open a window for ventilation if you use bleach (and pour it carefully to avoid splashing).